The GO! 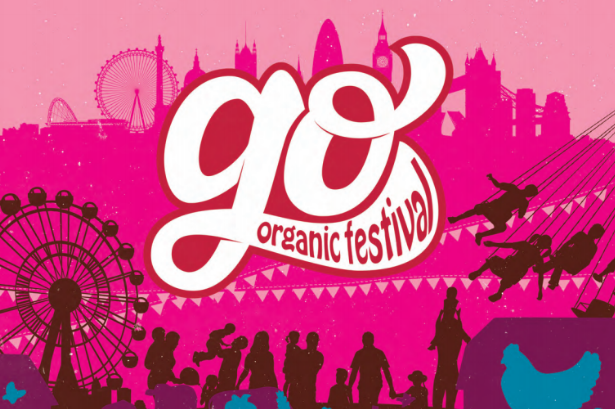 Organic Festival will be taking place on 8th-9th September at the Evolution Centre in Battersea Park, London. I am really excited to confirm that I will be attending the event. One of the main reasons why I am so excited is because it will be a great opportunity for me to learn more about organic products as a whole. 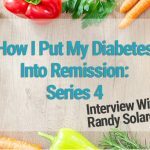 Ever since being diagnosed with diabetes, organic produce has become of great interest to me, especially because I am trying to minimise the number of toxins in the cosmetics I use and the food I eat. This event has been on my radar for a while so I am thrilled to be attending for the first time. I’m really looking forward to sharing my experience with everyone. What can you expect at the Go! 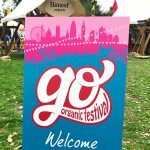 Organic Festival? The amazing thing about this event is that it combines a marketplace filled with organic brands and exhibits with live music, cooking demonstrations, and inspirational talks. It is a hybrid of entertainment, information, and exhibitors. This is something you don’t always get with food events and it is something that makes the GO! Organic Festival appealing for the whole family. Entertainment-wise, the main stage will feature performances by English pop rock band, The Hoosiers, and The Magic Numbers. Also, The Dani Diodato Quintet will be kicking off the event with some live jazz. If live talks are more your thing, then you will want to spend some time at the Natural Talks Theatre where you will find speakers such as BBC presenter and organic farmer, Jonathan Dimbleby, and TED presenter and author, Natalie Fee. For anyone looking to gain some more confidence with their organic cooking, there will be plenty of live cooking demonstrations by some amazing chefs, including Melissa Hemsley, Emily Watkins, Rosie Birkett, Theo Randall, Arthur Potts Dawson and more. There will also be plenty of entertainment for kids, such as a free fun fair, petting zoo, bug hunts, and circus entertainers. I’ve taken a look at the exhibitor list and there are so many brands that I’m excited to see. One of my favourites, Biona Organic, will be there. A few others that I’m looking forward to seeing are Clearspring, Cocoa Loco, Crazy Jack, Crock-pot, GoodToBee, Happy Butter Ghee, and Real Olive Co.
Other notable parts of the event include the Abel & Cole picnic area that will feature various eco-crafts and refreshments, the Honest Family Eco Art Camp where you can take part in eco-friendly activities like basket making and rock painting, and the Clearspring Japanese Tea Garden where you can taste some tea and even try some origami. Oh, and the beer lovers out there will want to check out the GO! Organic Beer Festival that will feature 25 of the best organic beers from UK organic breweries. I’m sure you’ll agree that there will be plenty to do and see. I have no doubt that this will be a fantastic family day out. Let’s just hope that the rain will stay away. A standard adult ticket for one day at the event costs £28.08 and a standard child (5-15 years old) ticket costs £14.30. There is currently a flash bank holiday sale, where you can purchase tickets from £5. You can get your tickets here. If you’ve missed the bank holiday sale, you can still receive 20% off using the following code: “20GO”. Will you be going to the event? If you are, feel to get in contact and we can arrange a meetup!